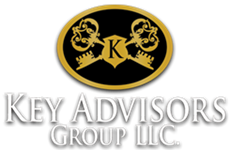 Key Advisors Group, LLC is an independent financial advisory company that focuses on providing customized retirement planning strategies that are designed to work towards meeting each client’s specific goals. Our advisors specialize in assisting retirees, individuals approaching retirement, and business owners who are working towards a sound financial future. The professionals at Key Advisors Group, LLC branch locations may offer securities through, Kestra Invesment Services, LLC member FINRA/SIPC, and/or offer Investment Advisory services through Kestra Advisory Services, LLC.